In 1991 I started a homemade Godzilla vs. Gamera vs. Ultraman comic book. It was just something I was doing for myself, not for sale, or anything like that. Like the half dozen or so other things I start simultaneously, I later redid it, and didn't finish it that second time, either. Sometime after seeing GODZILLA VS. DESTOROYAH (1995), I wrote a short story for a new Godzilla movie I'd like to see. It was extremely dark and violent; akin to melding Godzilla with John Carpenter's THE THING (1982). Below is a new story I wrote incorporating elements of that short tale (written on a piece of notebook paper) into a plot involving Gamera. Strictly for fun, I hope you enjoy it. A massive underwater earthquake off Japan's coast so soon after the 2011 Tohoku disaster causes the nation to brace for another possible cataclysm. A research team is sent to investigate after an enormous object turns up on naval radar a few miles from where the quake occurred. The team of scientists and marine biologists find what appears to be Godzilla in a state of hibernation near the quakes point of origin. 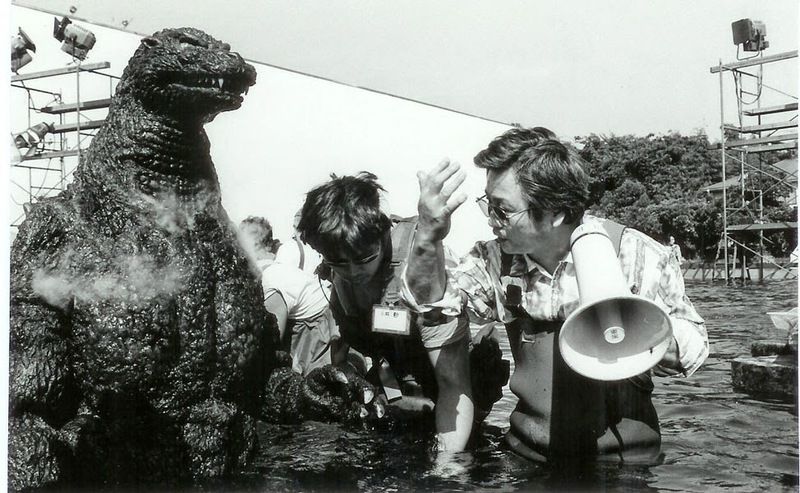 Having remained unseen for 60 years, the search party immediately assume Godzilla is the source of the undersea disturbance. They cautiously move on to the site of the quake and discover a vast chasm. Descending further, an entirely new world is uncovered -- a heretofore unexplored ecosystem that houses mysterious forms of life, as well as remnants of some ancient civilization. The research team find gigantic worm-like creatures, strange plant life, and many bones of what appear to be humanoid beings as well as larger, more monstrous lifeforms. Studying further in a mini-submersible, the scientists uncover a crumbling pyramid type construct that houses peculiar markings within its inner chambers. A multitude of crystalline objects are found, and an even more massive, oval-shaped artifact encased within the earth. After taking a slew of photographs, the research party leave with their findings along with a satchel full of the crystals. The plan is to return and attempt to study not only Godzilla, but also the gigantic, peculiar looking, barnacle covered object. Upon notification that Godzilla is below the depths of the ocean not far off Japan's coastline, the government prepares for the worst. A conference is held with military officials to decide what plan of action to take. Should they do something now, or wait till the beast awakens? If he even wakes at all. 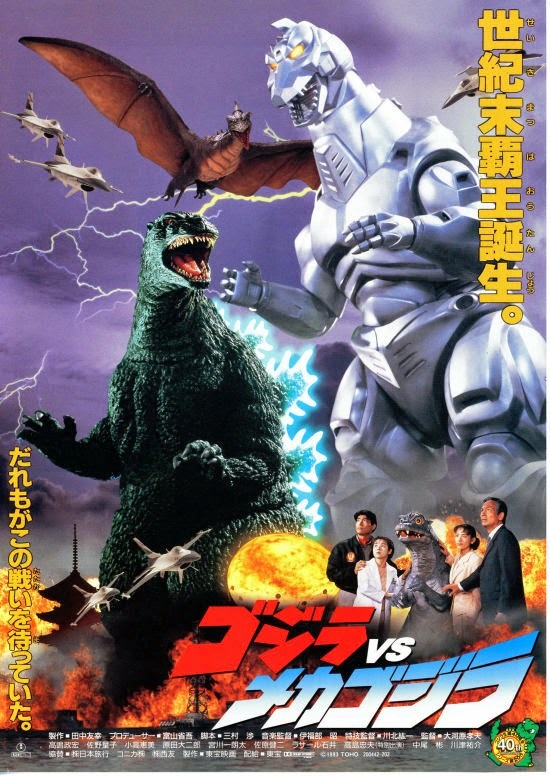 While the conference is split on what sort of action to take, a decision is unanimous to perform some rudimentary tests on Godzilla to determine his stasis. An international committee of scientists conclude the radioactive monster is in some sort of a coma, but little else is known without further examination. Meanwhile, Japan's UBI (Undersea Biological Institute) perform tests on the mysterious crystals brought back from the deep. Another search team is mounted to return to the site of the underwater earthquake to explore the newly uncovered terrain; and also ascertain just what the enormous shell-shaped object is. A specialized submarine with a science lab on board is sent. Once there, one of the scientists, Dr. Mitsuhara, learned in archaeology and ancient civilizations, deciphers some of the writings in one of the pyramid chambers. Recognized as Lemurian, it mentions two gods from the sky -- one good, one evil. The party also find traces of what appears to be Godzilla cells attached to some of the rock formations. The giant spherical object is deemed to be a UFO. The conundrum is in figuring out what the second sky god is since Godzilla, so far as known to man, has never possessed the ability to fly. Either way, these discoveries are the most significant finds science has ever seen. Topside at the UBI, researchers learn the crystals are living organisms that become active when exposed to any kind of heated source -- whether that be body heat, or some sort of flame. The DNA of the creatures are unlike anything known on Earth. Their age is indecipherable without further testing at the underwater site. As they show more and more signs of life, the shape of the crystals slowly begin to change into something else. Back below the sea, the lab techs study the Godzilla cells, as well as samples scraped from the large object. The G cells show signs of contamination by an unknown parasitic life form. Additionally, the scraped samples of the UFO reveal DNA not of this world. As the tests continue, a survey crew attempt to loosen the ground surrounding the object to get a better look at it, and to ascertain if it can be moved. While that is going on, the ocean floor begins to shake. Is it another earthquake, or is Godzilla moving? The crew hurries aboard the submarine. The ground below becomes even more unstable. A strange light emanates around the large UFO. It's moving! It begins to spin slowly, then faster as it rises. The massive force triggers an underwater volcano to erupt. The sub narrowly escapes the chasm as flame and rock engulf the area. They witness Godzilla's coma-induced body fall into the fiery pit seemingly to die inside the volcano. Above water, the UFO bursts from the ocean heading into the sky, spinning wildly. It disappears into the clouds. Back at the UBI, the lab tech records his findings as the crystals take on a blobular form. He decides to place a lab rat in the container. The blob-thing, using some sort of sensory mechanism immediately senses the rat and attaches itself to it. Absorbing it quickly, the blob once more changes growing slightly in size; tufts of hair sprout, and a mouth with jagged teeth emerge. Distracted by this frightening sight, the creature senses the heat source put off by the ogling human. It then latches onto the face of the scientist. An emergency meeting with world leaders is called regarding this discovery, and the status on Godzilla. The Lemurian discovery, the UFO, the subsequent earthquake that has buried both the ancient pyramid and Godzilla within the undersea volcano are topics of discussion. With Godzilla presumed dead, a new plan is hatched to deal with the possible attack by this UFO that has seemingly disappeared into the stratosphere. While the meeting continues, an aid at the UBI enters the lab where the crystals were kept and finds the lab wrecked and blood all over the place. Whatever happened, something has escaped through an air vent without detection, and taken all the crystals with it. The decision is split on contacting the authorities, but it doesn't matter as it's surmised the thing escaped into the sewer after a city crew turns up missing. The creature doesn't remain hidden forever, though. A search party armed with flamethrowers and automatic weapons scour the sewers for signs of anything out of the ordinary. At that time, some movement is detected out at sea about 10 miles from the Okinawa islands. A fleet of military ships are dispatched to the area to find out what this unidentified object is. Japan now has three possible threats from the land, sea and air. In the sewers below Japan's bustling city, the search continues. Slime trails are found by the SAT's (Special Assault Team), and these are followed in the hopes they will lead to whatever it is that left them. Elsewhere, a subway train travels to its destination when suddenly, it smashes into something huge. At sea, one of the ships picks up an object just below them on their radar. It's ascending fast, and the size is enormous. A rumbling is heard; and once the ship commander realizes the object is rising just below them, it's too late. 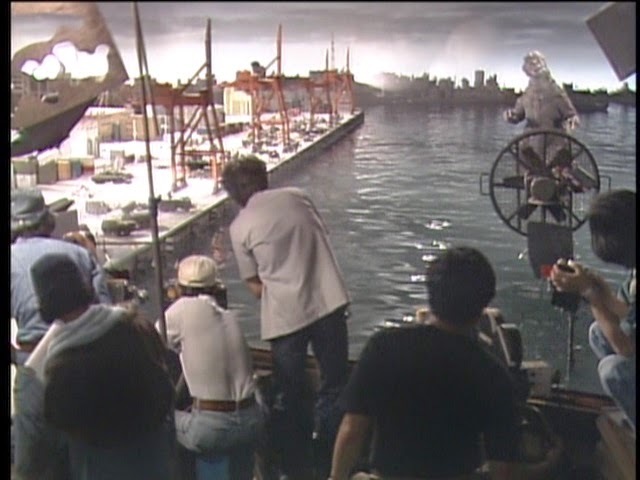 Ripping the battleship in half, Godzilla emerges from the water. Back underneath Tokyo, tentacles quickly rip through the subway cars grabbing those trying to escape and snatches them away. One of the SAT units hears the commotion and reports. The group closest to the attack point is ordered to investigate. What they find is almost indescribable. With a snake-like head bearing rodent features, multi-tentacled arms with sharp, knife-like ends, legs like an alligator, and jagged, sharp teeth, the SAT's engage the monster (Metamorgus) and accidentally set off an explosion. Seemingly trying to escape the flames, the beast then rips through the ground right in the middle of a busy street. Cars go flying everywhere. At sea, Godzilla is moving quickly towards Tokyo as the remaining fleet of battleships pursue and fire on the monster. Godzilla is oblivious to the assault as if he's on a mission. Like he has a purpose. Meantime, Japan's Air Defense Force picks up the UFO on their radar moving fast towards Tokyo. Planes are scrambled to intercept it. They trail it and fire several missiles, but they have no effect. The giant spinning UFO is heading straight for the location of the frightening looking alien. Metamorgus begins destroying the city, and consuming the fleeing citizens. As the beast wrecks buildings, it pauses -- looking skyward. It senses something approaching fast. Suddenly the giant spinning object emerges through the clouds. The monster tosses several cars and trucks at the spinning thing. The vehicles explode as they hit the disaffected airborne object. It then stops spinning. A head, arms and legs emerge from the open holes where the flames spit that kept the thing in the air. It's Gamera, the jet-propelled turtle. Gamera falls on top of the tentacled thing and immediately begins to slam it with his clawed fist. Metamorgus's head moves out of the way each time, grabbing Gamera's arm and flinging him away causing more city damage as the big turtle plows through buildings ripping up the street along the way. 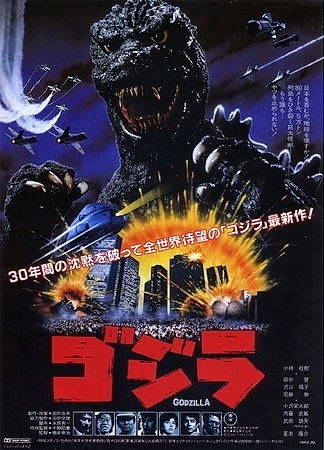 At that time, Godzilla enters Tokyo Bay. Japan is stunned as to what to do with three threats converging on their city. Citizens are ordered to evacuate. The Air Self Defense Force is ordered to remain on standby. The military form a perimeter around the three monsters. Godzilla approaches looking more enraged than ever before; but shows signs of a sickly pallor. He looks diseased. Maybe near death? It hasn't slowed him down, though. Gamera turns towards Godzilla, a monster it's never seen before. It then turns back to Metamorgus. As Gamera turns, tentacles lash out gripping Gamera's arms and legs. 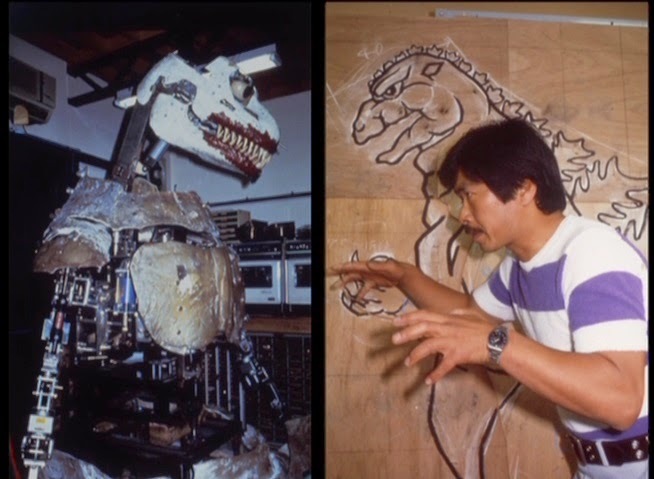 Its head elongates and bites into Gamera's neck. The titanic turtle then slashes the tentacles off with the sharp bladed edges of its forearms to get loose. The tentacles, also alive, scurry back and reform with Metamorgus. A blast of Godzilla's radioactive flame suddenly hits Gamera in the back. As the flames smash Gamera's shell pushing him towards his initial adversary, the turtle, seemingly unaffected, begins to charge up an attack of his own. He turns and lets loose a ball of fire that hits Godzilla in the shoulder successfully knocking him off balance. Distracted, Gamera is attacked from behind a second time. The alien wraps a tentacle around his neck and easily tosses the turtle into the air. It then spits this green-hued acidic goo that melts everything it touches. As the monsters brawl, two of the scientists (biologist Miki Nagawa and Mitsuhara) try to rescue those trapped below ground in the burning subway system. 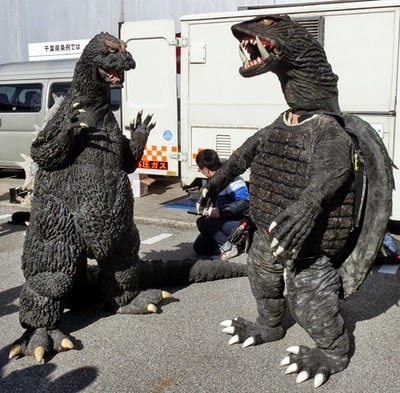 The archaeologist now knows Gamera is the good alien and Metamorgus is the bad alien. He concludes Gamera is apparently an alien itself, a possible bio-weapon created by an alien race from another galaxy. Gamera was chasing the alien through space thousands of years ago when the two monsters clashed on Earth, plummeting into the sea; and likely were responsible for the destruction of the ancient Lemurian civilization. During the battle, the alien became dormant without life forms to feed off of, and Gamera hibernated for centuries; lying in wait for when their grave would be disturbed whereby they would fight again. 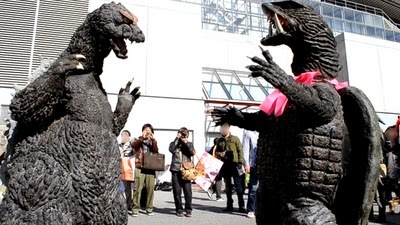 Godzilla is actually uninterested in Gamera. It's sole aim is in dealing with the metamorphosing alien. But why? Both Godzilla and Metamorgus finally clash. Godzilla gnashes at its head and misses every time. The aliens tentacles spread out, its bladed tips aiming for Godzilla's body. Stabbing into him, the beast rears back in pain and lets out a roar. Unleashing his radioactive fire, bits of Metamorgus are blasted off. Some of the pieces re-attach with the Metamorgus, while others scurry away, sensing body heat nearby. As Mitsuhara and Nagawa get everyone out of the mangled subway cars, they hear a strange hissing sound. Something is scurrying across the tops of the cars. Everyone gets quiet. The few remaining SAT's stand ready. Suddenly something rips through the top of the car. It's one of the alien cells, having taken on the form of some mutant crustacean. It grabs a hapless victim and pulls them away. More of the creatures enter through the rear of the car. Everyone runs to find an escape. The SAT's begin shooting, but to no avail. Somebody flames one of the monsters. The creature cries out and seemingly dies due to being burned. The citizens and scientists try to run, but are overcome by the creatures that scuttle faster than they can get away. Trapped, it looks like the end. In the nick of time, more SAT members appear and burn the monsters to a crisp. The military is advised to mobilize Flame Tanks only. All other military hardware are ordered recalled from the clash zone. The thing lashes out simultaneously at Godzilla and Gamera wrapping tentacles around their legs and whipping them around like they were sacks of potatoes, then slamming them down into the earth as explosions go off around them. Godzilla attempts to flame the alien a second time, but Gamera, knowing the result, manages to take flight and absorb the radioactive beam in time. Gamera then unleashes his own fire attack, which begins burning the alien. 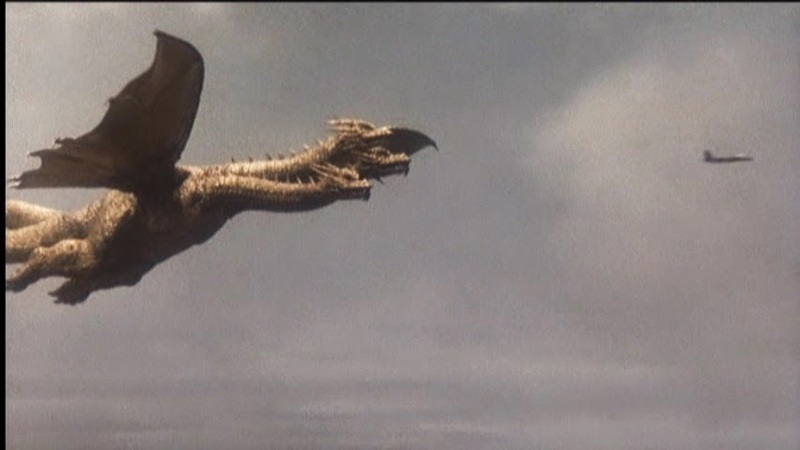 In pain, the creature sprouts wings and flies into the sky. Gamera pursues. Godzilla stands and watches the chase. Suddenly, he clutches at his chest, crying out in pain. Something is inside him. He then begins unleashing his radioactive flame all around him, toppling any buildings nearby. Mitsuhara and Nagawa's escape route is cut off, and they must find a way to escape the city amidst all the calamity around them. Meanwhile, the military mobilize as many Flame Tanks as possible in a formation surrounding Ground Zero. 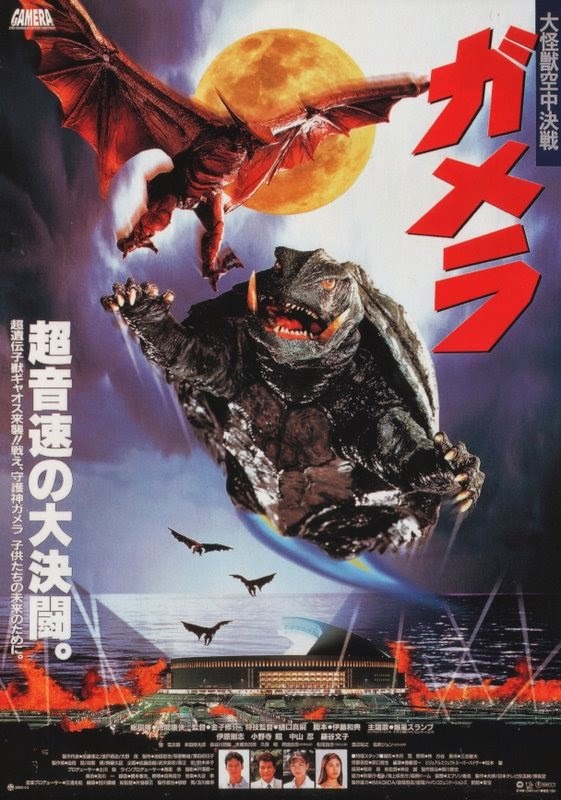 Above, Gamera and the alien battle in the sky. Metamorgus appears to be trying to escape into space. Gamera charges up and unleashes a flurry of flaming balls. A few miss their target but some hit the monster. Through an evasive maneuver, the alien quickly turns and latches onto Gamera, clawing at him, cutting into his flesh. Gamera's head zips in and out of his shell to protect itself, but it refuses to let go. Both monsters plummet back toward the Earth. In freefall, Gamera gets an open shot. His bladed forearms light up like a laser beam and slice through the alien severing its head and multiple tentacles. As the pieces separate, they burn up instantly. 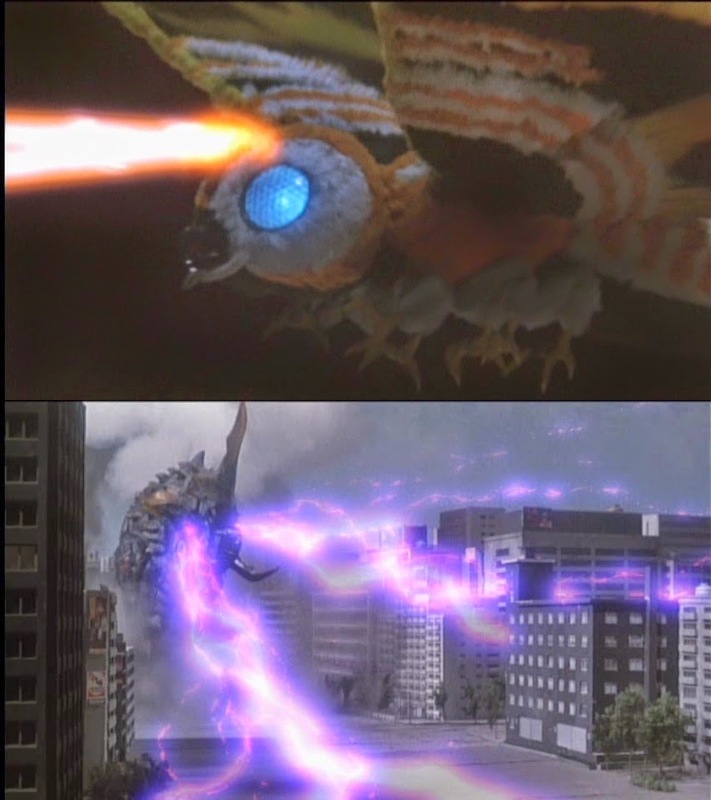 Gamera then unleashes a massive blast of flame that hits the alien burning it to a cinder before it hits the ground. The charred remains crash into the Earth. Metamorgus is seemingly no more. Gamera lands, and turns his attention to Godzilla. 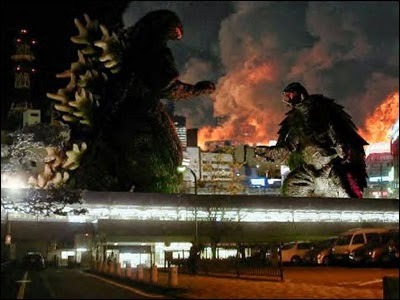 Breathing heavily, Godzilla turns to Gamera and lets rip his radioactive beam. It hits Gamera in the shoulder, successfully blasting away a small chunk of his shell. Gamera takes flight and rams Godzilla shoving him into a stretch of buildings that fall like dominoes. Explosions go off everywhere. Gamera hovers over Godzilla, who doesn't move. He emerges through a cloud of smoke, grabbing Gamera and slams him hard, face first into the ground. Gamera stands and Godzilla spins, whipping his tail that strikes Gamera square in the chest sending him flying backward into an oil refinery that explodes instantly. 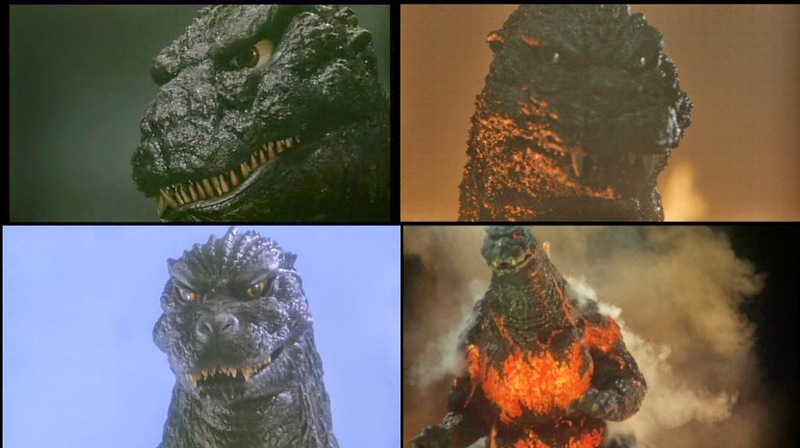 Godzilla is immediately hit with a flurry of flaming balls that rip into his weary, but tough hide. As Godzilla drops to the ground, Gamera emerges from the refinery flames. Godzilla begins convulsing violently. He stands up and appears to be choking. To everyone's horror, he regurgitates a giant blob monster -- another Metamorgus! One of the aliens was gestating inside of him. 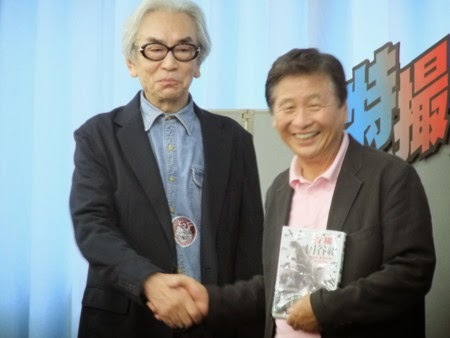 Mitsuhara and Nagawa witness this and surmise Godzilla did cause the undersea earthquake; and battled the alien there once it came into contact with it. 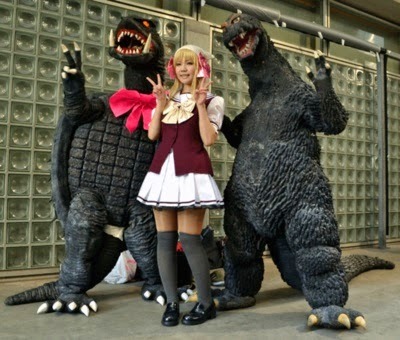 Attracted by the body heat from living organisms, it left its dormant state and infected Godzilla. Metamorgus immediately latches on to Godzilla's arm and begins to consume it. 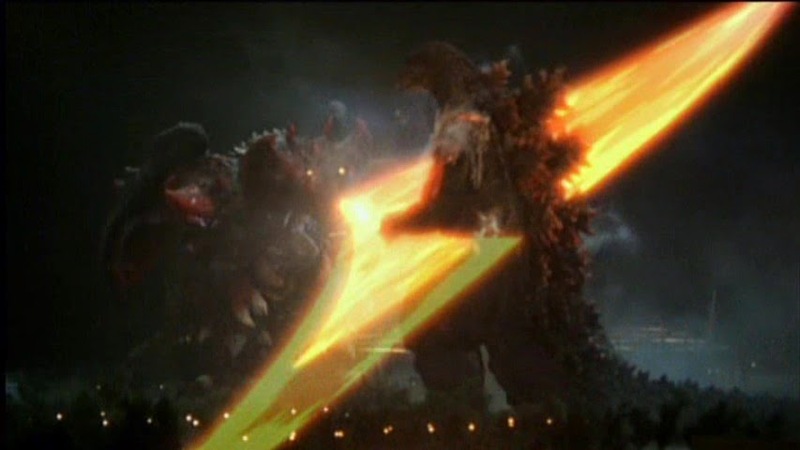 Godzilla hits it with his powerful flame attack, but instead of burning it, it blows chunks of the alien off. Gamera quickly acts and emits a widespread fire-shrapnel attack that sets the pieces ablaze. 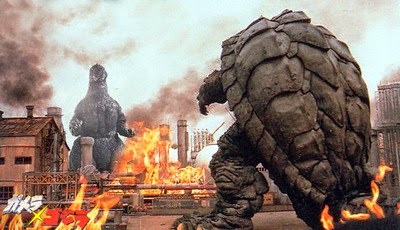 Gamera then hits the monster with flame pellets as it continues to eat away at Godzilla's arm. 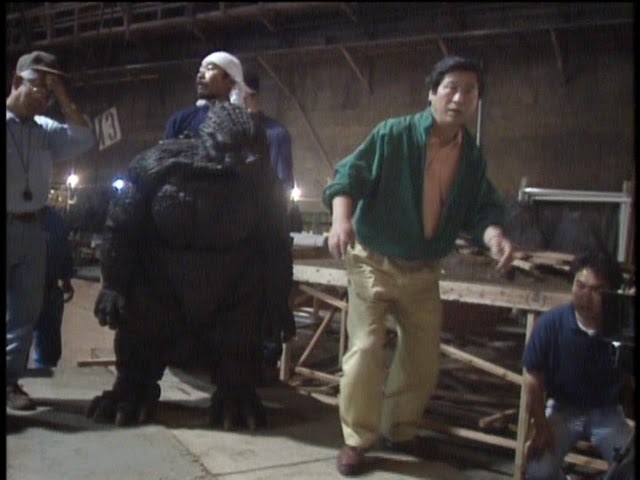 The injured creature moves away and takes Godzilla's arm with it! It quickly turns to Gamera and emits dozens of piercing tendrils that stab straight through Gamera causing the giant turtle to roar in pain. As it removes the tendrils, Gamera drops to the ground. Metamorgus begins to grow, taking on a reptilian shape akin to both Godzilla and Gamera's genetic makeup. 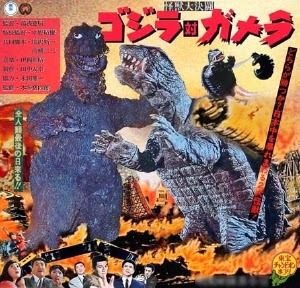 With but one arm, Godzilla punches into its mouth, the sharp teeth cutting into Godzilla's hand. He pushes his fist deeper into the monsters maw. Suddenly, it's head splits in two. Now there are two heads! 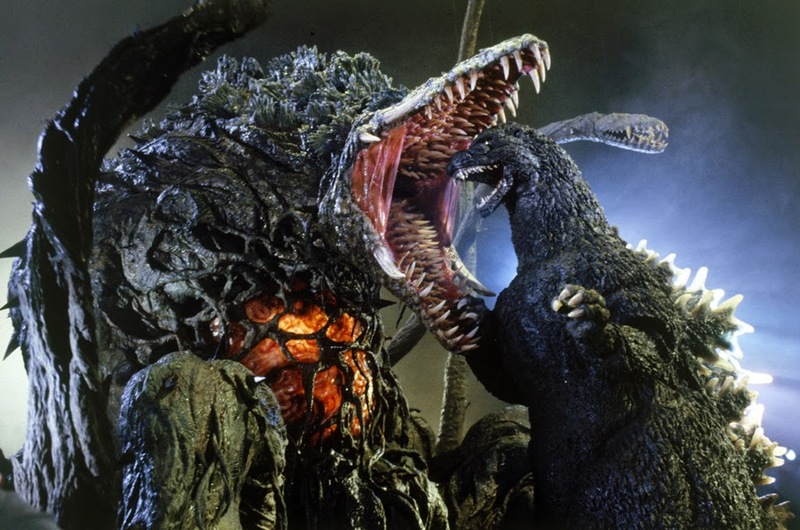 Godzilla then punches into Metamorgus's chest, ripping out what looks like its heart. Tendons and blood vessels wrap around Godzilla free arm. He thinks fast and grabs the alien, moving towards the giant flames emanating from the destroyed refinery. He forces the creature into the flames as it slashes and cuts into him. The creature appears to melt into nothingness. Godzilla turns and stumbles away. My interpretation of one of Metamorgus's forms. But Metamorgus isn't dead. 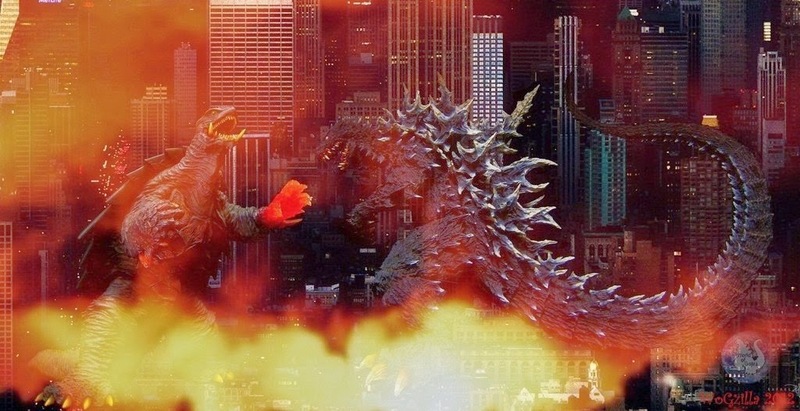 Partially on fire, the monster leaps onto Godzilla, knocking him to the ground. The alien stands over him. Gamera, badly injured, senses the end is near. He begins to glow. The ground shakes around him. The military perimeter is ordered to disperse as it appears another earthquake is about to hit. Gamera turns into a blinding ball of white flame and takes flight. The alien turns and sees the super hot flaming ball flying towards it. It attempts to escape, but Godzilla grabs Metamorgus and holds it in place. Stabbing into Godzilla, the alien is unable to free itself. Gamera, now a white hot ball of flame, hits Metamorgus and obliterates it instantaneously. The creature burns to a cinder, its ashes scattered in the wind. The battle is over. There is no sign of Gamera. A bloodied, and injured Godzilla stands to his feet and stumbles out of the city. His regenerative properties will heal his arm in time. The scientists and military watch in awe as he makes his way back to the sea. All traces of the scientific discovery are destroyed. No one knows if Gamera is alive or dead, or if Godzilla will ever return again; and if he does, will he attack mankind, or save them should another threat surface. After this devastating war of the monsters, Japan and world leaders come together to form the SIA, the Scientific Investigation Agency, a government facility formed to combat threats of monsters from both inner and outer space. ADDENDUM: In the original story, a research team was already studying the underwater ecosystem. When the first team fails to report back, and communication is cut off, a second team is sent to find out what happened. They discover Godzilla near the quake site, and upon discovering the wrecked research station, they assume Godzilla was involved. 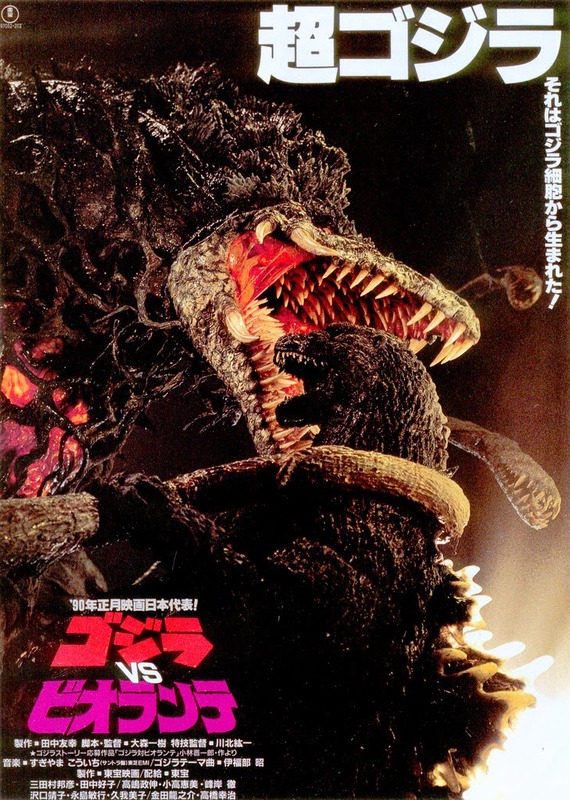 They find experimental organisms in one of the labs and take them back, to which one of the members gets infected and the creature escapes, absorbing other organisms leading to a battle with Godzilla. 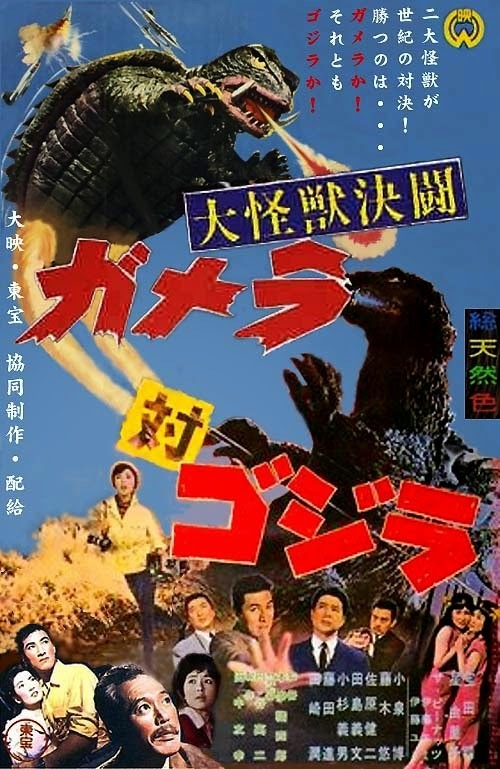 Gamera was not a part of the original story. Toru and Kaoru, friends of Gen and the MAC Team are being raised by their dad after their mother died. Leaving the MAC training facility one night, a mysterious creature kills the man in front of his kids and leaves a metal object at the scene. 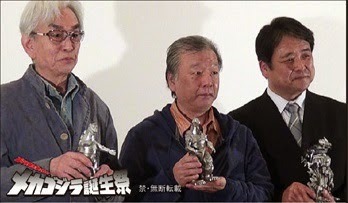 Gen Otori becomes seriously concerned upon seeing the object and notices it has the face of Ultraman Leo on it. Both Gen and Goro must now figure out who will take care of the newly orphaned siblings. MAC members, Suzuki, also a family man, decides to let the kids stay with him temporarily. 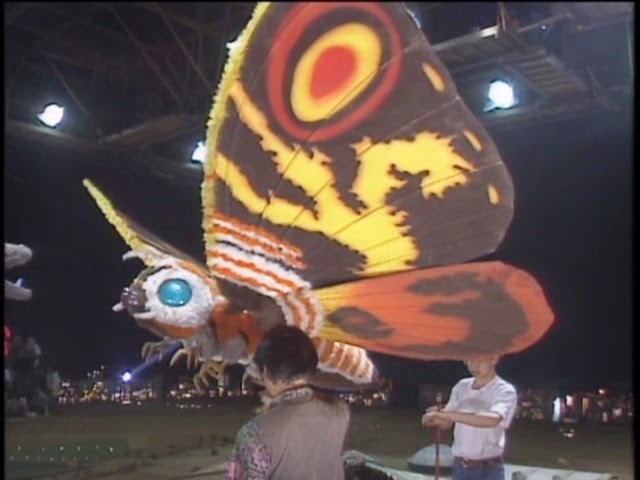 After leaving, the deadly creature attacks once more, killing Suzuki and quickly leaves the scene. On another night, Captain Moroboshi is ambushed by the alien till Gen arrives and forces it to flee. Later, Moroboshi informs Gen the alien is named Turuk, an outer space monster with flesh-shredding blades for hands. To defeat Turuk, Gen must learn yet another martial arts technique to apply to his growing Leo skill set. The dark aura that permeated the first two U-LEO shows courtesy of writer Taguchi Shigemitsu is maintained for these next two shows, another two-parter -- this one featuring a deadly sword-slinging alien that enjoys slicing humans in half. In this series the giant monsters also wreck havoc in human form, and Alien Turuk wallows in it. In a shocking bit of violence barely five minutes into the show, Turuk cuts two innocent humans in half -- in front of children no less! As a man-sized alien, Turuk has a metallic appearance about the face, and possesses swords for hands. He is also proficient in martial arts style combat; much like all tokusatsu suit monster creations from this time period. In his giant monster form, Turuk looks totally different; more reptilian in nature. His sword arms are now extensions protruding from his forearms. He moves incredibly fast and dishes out some pain to U-Leo in the climactic fight. Tatsumi Nikamoto (underneath the Leo wetsuit) jumps, chops, and somersaults all over the miniature set when he isn't being pummeled by Turuk. He rushes to battle the monster prematurely before mastering his tri-attack maneuver to counter the giant monsters dual strike. There's a great cliffhanger where Leo's color timer runs out (he lasts for less time in Earth's atmosphere compared with other Ultra heroes), Turuk delivers a final blow sending Leo below the watery depths of the harbor. The monster action is exciting and well choreographed; and the sight of Turuk splitting buildings and MAC ships in half gives these scenes additional punch. It moves very fast, and fans of karate/kung fu genre product get their kicks while tokusatsu fans get their suit action fix. Furthermore, the human drama is handled well for a series that eventually wanders all over the map in terms of tonal shift. For now, things are consistently grim, and the series wholeheartedly embraces its downbeat tone later in the run with some shocking turn of events. Dan Moroboshi gets as much, if not more screen time than Gen does. For all its action, the writer manages to squeeze in a bit of subtle exposition for its crippled Captain. Since he can no longer transform into Ultraseven, he acts as the Obi Wan Kenobi of the series -- training Gen in his human state to adapt martial arts skills that will accentuate his Leo techniques. There's one scene where Dan looks intently at his Ultra Eye -- knowing it is useless to him after his bone-shattering ordeal with the Gillas Brothers and Alien Magma in U-LEO's first episode. This brief scene, bereft of dialog, says more about his emotional state than any melodramatic monologue could. Gen (Ryu Manatsu) is still an excitable hot-head, his eyes threatening to fall out of his skull at any given moment. 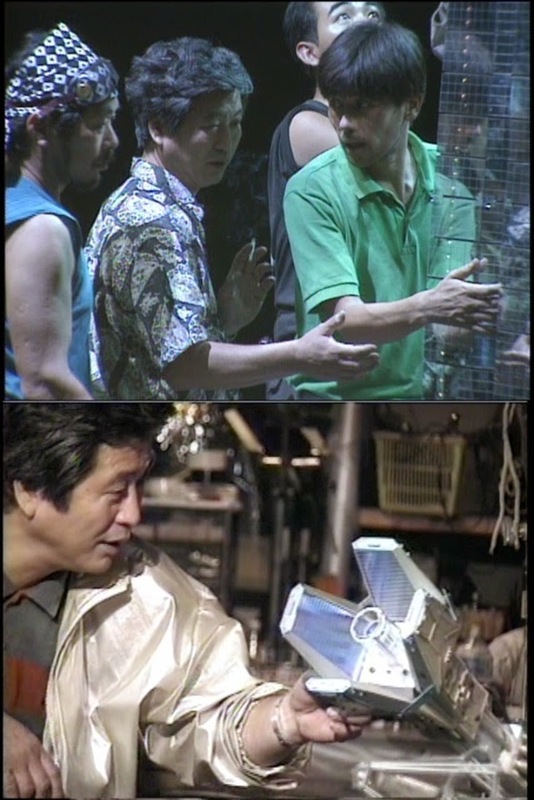 The series continues its martial arts movie template by having Gen train in various techniques to battle the monsters all the while brandishing his best Sonny Chiba expression. This episode not only marks the first appearance of the two kids Toru and Kaoru, but it's significant for its trend of killing off members of the MAC team. Suzuki barely recites his few lines before he's felled by Turuk's blades. Other affiliates of the Monster Attack Crew die, but not all given much audience connection outside of a face in the crowd, or the casual line delivery. The impressive battle carrier, the MAC 1 (or the MAC Macky 1) returns, but is seemingly MIA after this -- remaining docked in the teams space station. Their attack jeep was seen in the series opener, and it gets some action briefly here. The MAC Attack Jeep has a mounted bazooka and some laser weapons. It's just as garishly colorful as the rest of the groups hardware and attire. 'Goodbye Tears' is just as strong a show as the opening two-parter. The action and drama finds a stable medium with which to further the story; and thus far ULTRAMAN LEO delivers quite a bit of everything that attracts fans to this genre. The series kind of loses its way later on, but for now, U-LEO is proving to be a radically different approach to familiar material. To be continued in Episode 4: A VOW BETWEEN MEN!! !